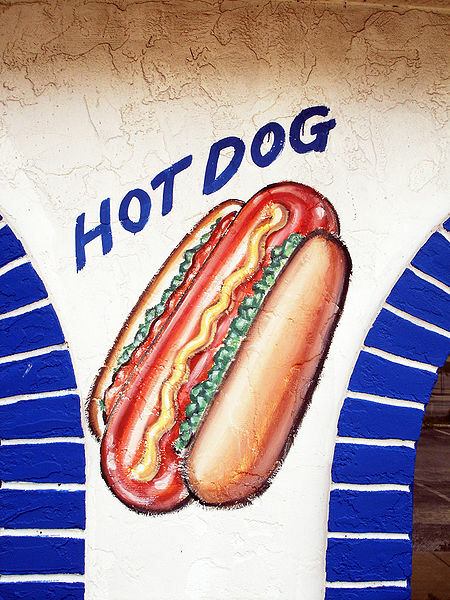 Quick, who invented the hot dog? Was it the sausage-makers of Frankfurt? The butchers of Vienna ( a city that German-speakers call Wien)? Or was it Charles Feltman, an enterprising German immigrant who ran a pie-wagon in Coney Island in 1867? We’ll never know, but get this. Construction workers have now excavated the world’s oldest known hot dog frozen in ice below one of Feltman’s buildings on Coney Island. Mummified and rather revolting looking, this 140-year old frankfurter is attracting a lot of attention. You can see it for yourself in the CNN video here. The discoverers say they want to preserve it, but they are sure going about it in a weird way–pouring hot water on the ice! Hot dogs made Feltman a fortune. In his first year of business, the young enterpreneur hawked more than 3864 of them to Coney Island visitors, and he transformed junk food into a small empire of beer gardens, hotels and the like. Clearly junk food pays. Never underestimate the appetite of the public!